Earlier this year, both Evan 'Evleaks' Blass and The Information's Amir Efrati claimed that the upcoming Android Silver program would replace the Nexus line of developer phones. Blass went so far as to say, "There is no Nexus 6. Farewell, Nexus." 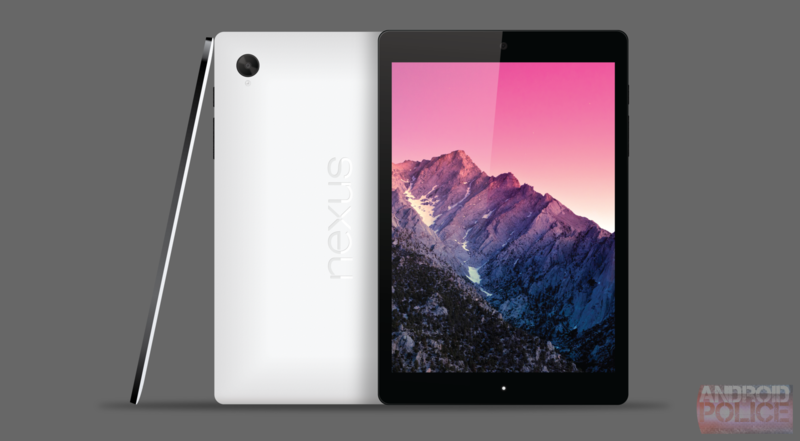 Both of those reports would seem to be contradicted by our own exclusive reveal of the HTC Volantis, a new Nexus tablet. Now we've got even more claims that the Nexus hardware line isn't going anywhere soon, this time right from the proverbial horse's mouth. People just get excited by concepts and forget why we do things. We are still invested in Nexus... People have been commenting about Nexus because there is something else and they think that means the end of Nexus. That is the totally wrong conclusion to make. That seems like a pretty specific refutation. Burke declined to comment on Android Silver, neither confirming nor denying the upcoming premium partnership between Google and major mobile manufacturers. He did go on to say that Google is continuing to develop Nexus hardware with new versions of Android, which would mean a new Nexus device for the L release later this year (possibly the HTC tablet, but more probably a new Nexus phone as well). Android Police broke the initial story on Android Silver, demonstrated internal screenshots and designs for retail kiosks showing off the high-end phones running stock Android software. Nothing in our initial scoop indicated that the Nexus line was disappearing, though it's a pretty natural leap - a company like Google, which doesn't directly manufacture phone hardware, would be a strange place to find two hardware branding initiatives. Silver is definitely real, and definitely exists at Google in some form. Exactly what it will be when, and if, it debuts at retailers is still up in the air. Also of note is Android One, the new low-cost initiative that Google revealed earlier this week at I/O. Android One is designed to push low-cost smartphones based on reference designs running stock Android software, selling at $100 unsubsidized or less, to emerging markets. Android One will begin a rollout with various hardware and carrier partners in India later this year. Assuming that both One and Silver come to fruition, and that the Nexus program is indeed sticking around, that would mean that Google would have three hardware initiatives covering the low end, (roughly) mid-range, and high-end hardware spectrums starting next year. Update: Emir Efrati points out that he never said the whole Nexus line is going away, just that the phones would: "The expensive effort involves dumping the four-year-old Google Nexus phone brand in favor of a new program called Silver." That's certainly a possibility, given that the only Nexus device on the horizon is a tablet, and LG (which made the last two Nexus phones) says it has none in the pipeline. IN the quote above, Dave Burke does not specify between phones and tablets.